Many of the posts in this blog have been devoted to wood panelling installed in different types of rooms. 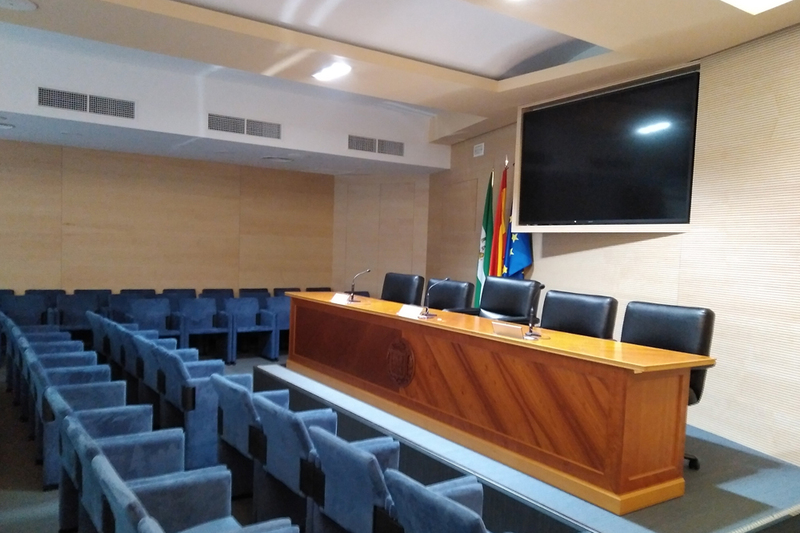 Today we are going to talk about assembly hall wood panelling; more specifically, the Spigoacustic brand assembly hall wood panelling at the Cordoba Layers Association, which was installed a few months ago. Assembly halls are, like press rooms and conference rooms, spaces devoted exclusively to public speaking, where all the elements must focus on the comfort of both the speaker and the listener. Comfort not only implies comfortable seats or a good audiovisual setup. It also means that the delivered speech is heard clearly by all attendees. To achieve this, we strongly recommend using assembly hall wood panelling specially designed to offer acoustic absorption that prevents reverberation and those small echoes that, sometimes, hinder the intelligibility of a speech. In this case, about 100 m² of Spigoacustic wood panelling 2400 x 300 mm, made of MDF and 16 mm thick, with varnished steamed beech veneer, fabric and tooled tongue and groove installation. 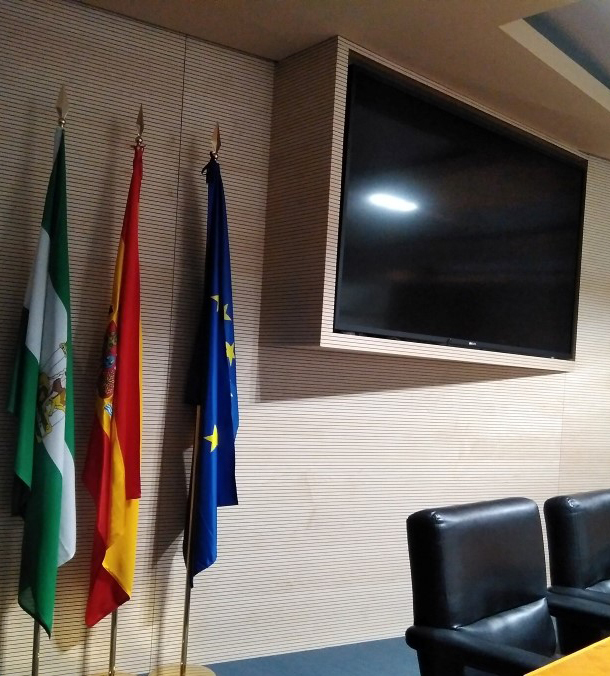 The excellent assembly work demonstrates the versatility of these acoustic panels that can be trimmed to adapt to any feature of the room as, in this case, the frame of the audiovisual screen embedded in the speakers’ area.